I had the chance last week at a sneaky ogle at what's new from Avon polishes and, yep, I leapt at it. I'm going to put together a similar post to the recent NailWear Pro + one to let you see all the goodness but I couldn't let this pretty pink number leave my talons without giving you a peak. Perfectly Flesh is a beautifully creamed, dusky pink that actually made me think of Barbie's nails as I put it on. The formulation is fantastic and takes two coats for full, smear free opacity. Isn't it pretty? Subtle enough for office wear and the perfect base coat for a sneaky slick of glitter, Perfectly Flesh, despite it's sliiiiightly weird name, will see you right through the seasons. Love. 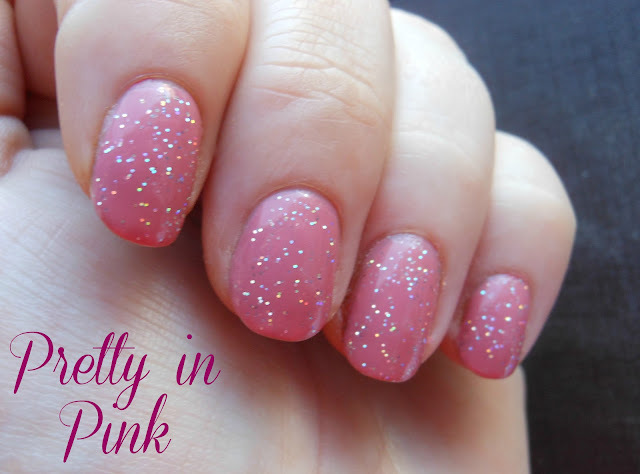 Are you a fan of pastel pink polishes? longer & stronger every day. That's a beautiful combination! Love it! not too fussed about the revlon base but omg the topcat is divine, wow!